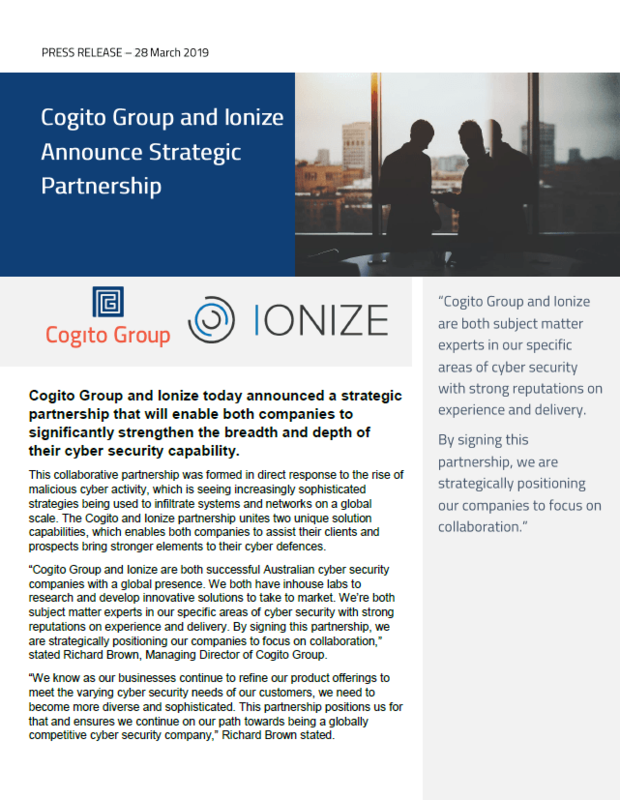 Cogito Group and Ionize today announced a strategic partnership that will enable both companies to significantly strengthen the breadth and depth of their cyber security capabilities. Cogito Group and Ionize are both successful Australian cyber security companies with a global presence, with shared heritage as local Canberra start-ups. 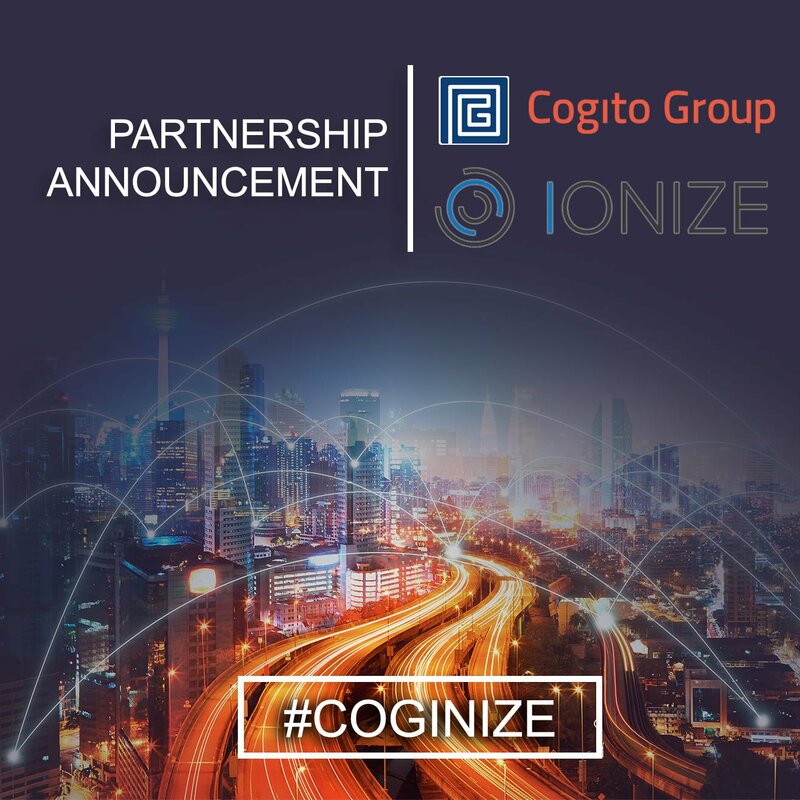 As Cogito and Ionize continue to broaden their portfolios, the partnership arrangement encourages both companies to collaborate, share resources, and support each other’s ventures. The primary objective of the partnership is to work together to add value to each other’s businesses through the delivery of strategic projects. By sharing complementary services – with Ionize specialising in threat detection, adversary tactics and governance risk & compliance, and Cogito Group specialising in authentication, cloud security, identity management and data protection – Ionize and Cogito Group will be able off a larger suite of services to our customers, which creates a greater capacity to meet our customers’ expectations. For further information about the partnership, please view the full press release. Cogito Group is an award-winning cybersecurity company specialising in authentication, cloud security, identity management and data protection. Cogito Group protect the authentication methods used to access information through the use of Identity and other security technologies. Ionize specialises in Threat Detection & Hunting, Adversary Tactics, Adversary Simulation & Detection, and Governance Risk and Compliance. Ionize has a key focus on ensuring we provide our team with the latest available skills and tools to ensure that we provide the best possible outcomes for our clients against an ever-growing global cyber threat.